Thank you so much for yet another incredible challenge this week. Teneale's sketch was another fabulous layout, with so many amazing interpretations. 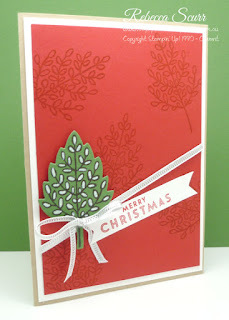 We all loved Rebecca's ingenious idea creating a Christmas tree with the Lighthearted Leaves stamp set. A lovely, elegant card finished delightfully with the silver trim and bow. A stand out creation this week, thank you for sharing it with us. 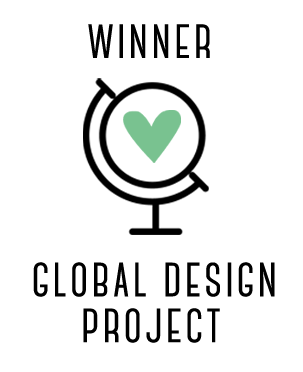 Dena was so inspired by our challenge this week she submitted two entries! We loved them both, however this one was a stand out. The beautiful arrangement of the bright flowers with the stripes stamped on a diagonal made for an impressive take on this weeks sketch. Simply stunning Dena, high fives! Tracy was another one of our weekly winners who used Lighthearted Leaves stamp set and followed our sketch layout creating a gorgeous and striking thank you card using a white gel pen to colour the leaves. She finished it off with a perfectly balanced, contrasting white embossed leaf. A flawless card, well done Tracy. Just stunning ladies!! love them all! Thanks so much--Clearly I had a great time with this challenge! Love playing along! You guys are the best!